Adding the iPhone didn’t do much for Sprint, likely due to the carrier’s insufficient network and lackluster marketing. 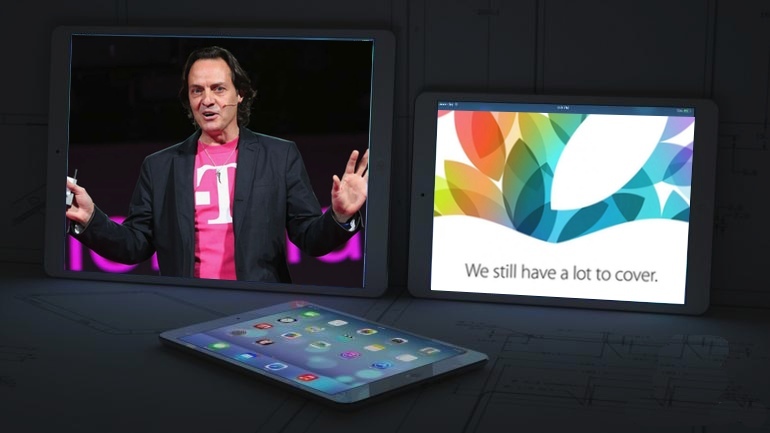 However, although it’s still early days, T-Mobile’s “uncarrier” rebranding plus the iPhone seem to be delivering. By linking to news of the October 22 Apple Event, where it’s widely expected Tim Cook will deliver the thinner, lighter iPad 5 and iPad mini 2, which may or may not include a Retina display, Legere pretty much spells it out. Since launching its “uncarrier” plans and marketing, in conjunction with the iPhone, T-Mobile and Legere have been on a tear. Most recently, T-Mobile has announced free, if only 2G, international roaming.